The Philippine Food Processors and Exporters Organization (Philfoodex), Inc., the biggest umbrella organization of food processors and exporters in the country will be showcasing export quality food products and distinct delicacies from Luzon, Visayas and Mindanao at the 7th Philippine Food Expo which will be held from 31 January to 03 February 2008 at the Megatrade Halls 1-3, SM Megamall Bldg. B, Mandaluyong City. This fun festival features much more than just hot-air balloons and represents just about every conceivable form of airborne activity. Amongst the many attractions, visitors can enjoy hot-air balloon rides, aircraft displays, sky diving displays and kite flying competitions. One of the most popular aspects of the festival is the spectacular sight of the early morning balloon fly-out and late afternoon fly-in, which fill the skies with balloons from all over the world. In recent years, the Internet has become a potent tool for selling products or services. It has also opened employment and income-generating opportunities to many Filipinos. So much so, Internet marketing has become the latest buzzword in the online sphere. A series of seminars aims at sharing basic information on the creative and technical aspects of Internet Marketing. The “Internet Marketing Bootcamp” will run for six consecutive weeks from January 26 to March 1, 2008. Each session will be held from 8 a.m. to 12 noon at RCC Center, Shaw Boulevard, Pasig City. • Michael Joseph Villar, USAP Affiliate Marketing Manager, will give a crash course on performance-based marketing, how companies and individuals can benefit from it, as well as the challenges confronting affiliate marketing. • Email Marketing Manager Alvin Jimenez will present the email marketing campaigns and their relevance. • Rico Sta. Cruz, USAP Creative Director, will discuss the essential principles in Web design and how to apply them to the Web. • Copy Editing Supervisor Jennelyn Tabora will talk about online copywriting and its crucial role in attracting and building readership. • Search Engine Optimization (SEO) Project Managers Gabriel Libacao Jr. and Rhiza Sanchez will explain the basics of search engine marketing and how to convert visitors into sales and profits. • Senior Web Analytics Specialist Maia Nuguid will discuss how Web analytics can help in assessing Internet marketing strategies. Marc Hil Macalua, USAP Vice President for Marketing, will give the inspirational speech. Web Project Manager Elymar Apao will facilitate the Bootcamp sessions. The Bootcamp is sponsored by the U.S. Auto Parts Network, the premier warehouse of auto replacement and performance part brands in the United States. One of the leading players in the Internet retailing industry, U.S. Auto Parts ranks among the top 100 online retailers in the United States in 2007. The Bootcamp is open for all professional bloggers, Internet marketing enthusiasts, or anyone who has a background in Internet marketing. Interested persons may send their updated resumés at elymar@usautoparts.net or glibacao@mbsautomotive.com. Qualified applicants will be informed via a confirmation email. Participants are encouraged to bring their resumes as a Job Fair will closely follow each seminar. May step na ang aking racing "career" from kart to car. 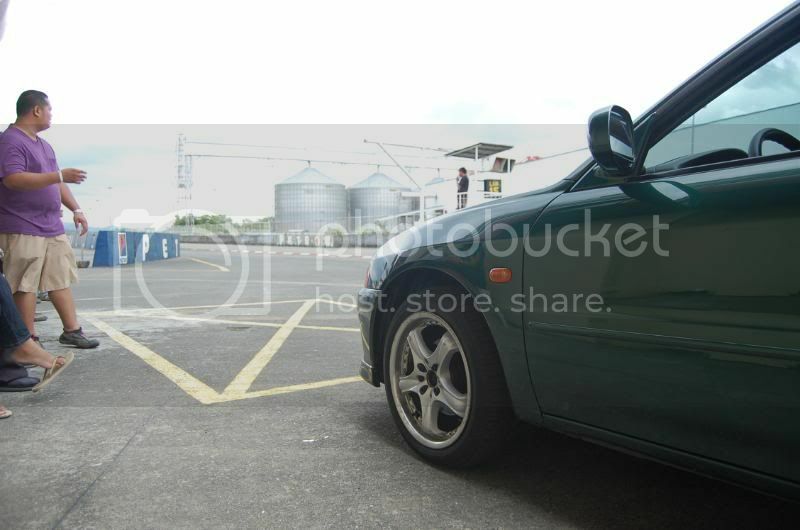 Yesterday I conquered Subic International Raceway. 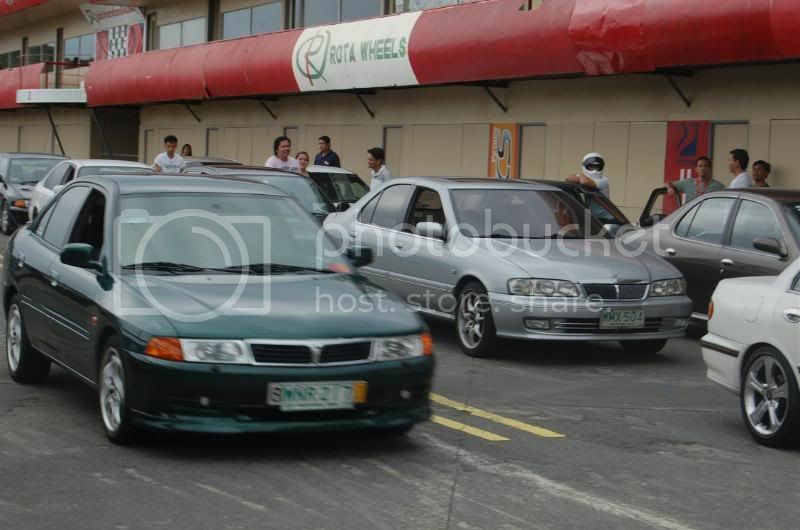 Wala naman talagang race, It was just the track day of Mitsulancerph. The day started with a short racing basic lecture headed by the Kookie Ramirez, the son of Philippine racing legend Pocholo Ramirez. Sobrang astig niya. down to earth and ang bait, nakakwentuhan ko siya nung race proper na, idol na kita sir Kookie. anyway after the lecture we did some practice runs, ng whole course. then we had lunch. then timed runs na using the short course. I had a very good timed run, sabe ng mga kasama ko. Sabi nila having a time of 1 min and 1 sec. for a first timer with all stock OEM components is amazing. Syempre ako naman upon hearing it super ngiti na kase at least alam ko na tama ang mga turns ko sa track. Nakatulong na rin siguro yung experience ko sa karting para makakuha ng magandang oras. Pero ibang iba pa rin yung kart sa real car. Overall experience is 10/10. medyo magastos lang talaga kase I tuned up the car, tapos gas, food and toll pero sulet pa rin kase iba talaga ang experience. Now I know to discipline myself on the roads kase I have tested the limits of my car and my driving on the road. so pag may naghahamon saken ng karera sa kalye eh pagtatawanan ko nalang. at sasabihin na "Do it on the track and not on the streets" lol. Seriously I learned a lot from this experience specially the importance of concentration and control over the car. Here are some pics of the event. thanks to sir raymond for the shots. kulang pa yang pics na yan. wala pa dyan yung galing sa cam ko. The greatest show in the world is here again. Usually fireworks starts at 8pm and ends at 10:00pm. Prepare to spend more than an hour just to get out of this place (just to give you an idea on how much crowd you are going to face). So get your cameras and tripods ready for this is a perfect photo shoot opportunity for us guys. 24 January 2008: Canon today launches its latest D-SLR, the EOS 450D. Featuring a 12.2 Megapixel CMOS sensor, EOS Integrated Cleaning System, 3.0” LCD with Live View mode and a new 9-point AF system, the model presents consumers with an unprecedented level of image quality and versatility at this end of the market. I know, I know... Its been a long time since I made this blog, I just did it because I want to have this url "pixelized me". So heres my 1st entry. So why is it pixelized me? I'm a hooked in photography. I'm not much of a writer, I'd rather express it in pixels. more pictures here rather than words. updates on digital photography, electronics and some techy stuff. hello world. hello blogsphere. hello pinoy bloggers.